The V.I. Cycling Federation introduced a challenging race to the schedule on Sunday, the Lime Tree Bay Circuit Race, which was held on the newly paved Hope Road in front of the refinery on St. Croix. Six athletes, who wanted to gain much needed experience, traveled to the competition: Anelia Austrie, Mikaela Smith, Jusenia Tuitt, Brianna Bruce, Shakira Edgar and Layla Browne. Elmo Plaskett East Little League announces that the 2017 Season will officially begin at 6 p.m., Friday, Feb. 24, at Basilio Ballpark. 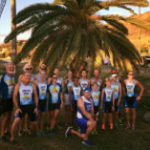 The Virgin Islands Triathlon Federation (VITF) held the VI Duathlon Championship race on Sunday, Feb. 19, in front of the Divi Carina Bay Casino on St. Croix's southeast end. The U.S. Virgin Islands Beach Soccer National Team will be participating in the CONCACAF Beach Soccer Championship Feb. 20-26 in Nassau, Bahamas. A strong group of Virgin Islands National Track and Field Team members are competing in the indoor season, and they include college student/athletes and professionals. Many people participate in activities that celebrate Black History Month, such as the Toast-To-The-Captain Road Race, which celebrates Capt. Teddy Seymour who did make history. 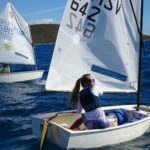 Junior sailors from St. Croix, St. Thomas, St. John, the British Virgin Islands and Puerto Rico will vie for honors at the 2017 Cruzan Open Regatta. The perfect weather on Sunday morning made for fast times in the Triple Bypass Road Race, a cycling race hosted by the Virgin Islands Cycling Federation. 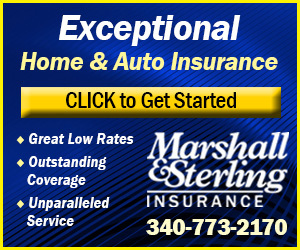 Last year's leading cyclist, Stephen Swanton, was matched by a newcomer.